I learned of your charity work through Jo's Country Junction. I have two UFO's from a local quilter who has passed away and some fabric that would be appropriate for your quilts. I've been looking for the right opportunity to get these to someone who would use them for service members. When I opened the package, I was delighted by the variety of fabric and the possibilities they presented. 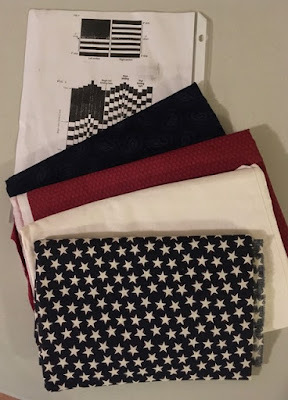 One of the bags included yardage and a pattern to make a Bargello flag. I'll probably use the fabric for another pattern. I plan to use the extra yardage to add borders to this star-studded medallion. The stars are gorgeous in person. Thank you, LuAnn for thinking of Quilts of Valor for your donation. 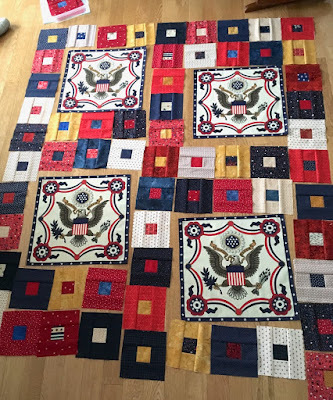 The quilts and presentation cases made with your donation fabric will be sent to the Idaho and/or Montana Quilt of Valor coordinators for distribution. 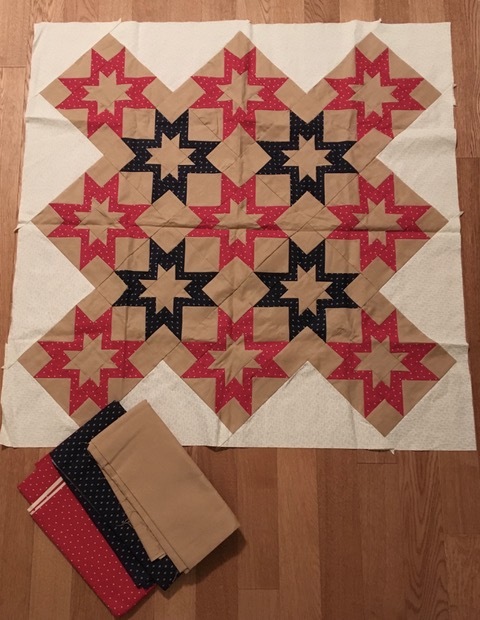 This month's clue created thirteen star blocks. I made half of them with red tips to the outside and half with blue tips to the outside. Two more months remain in the mystery. I'm sure that June's clue will create another block with the remaining units. The coordinator said were four possible ways the units could be combined, but only one was right. This mystery has a relaxed pace (one clue per month) which I've enjoyed. 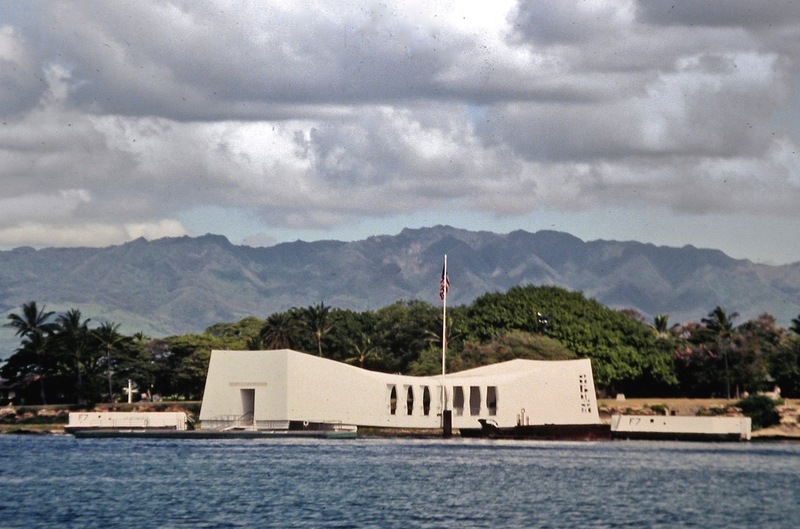 Today, we honor those who served and defended our country at home and abroad. 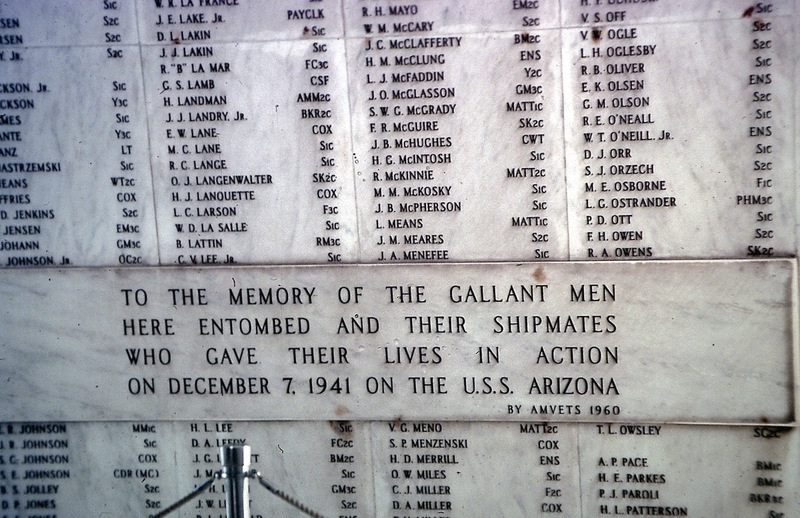 We honor those who gave the ultimate sacrifice. 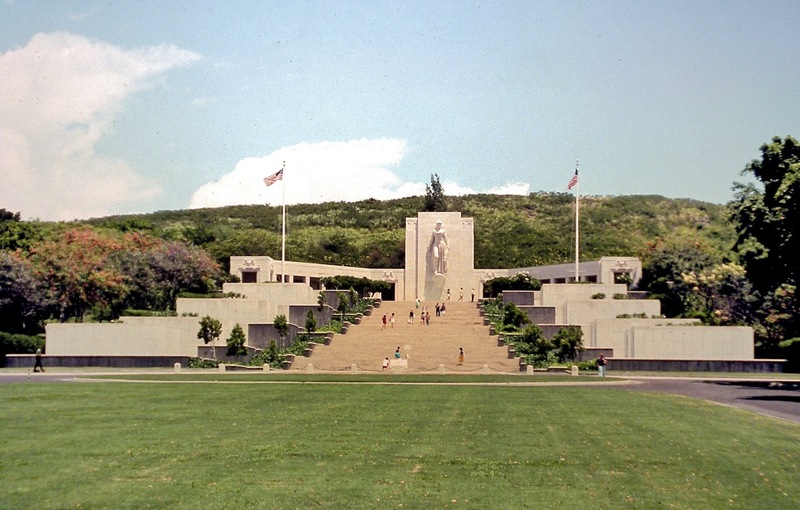 Currently, the United States has 147 national cemeteries. 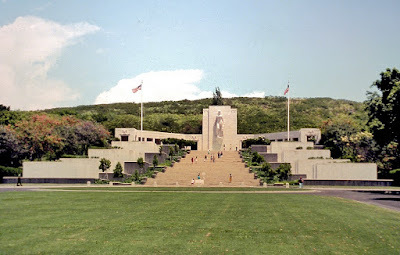 The US Department of Veterans Affairs website has a cemetery locator and a grave locator available. 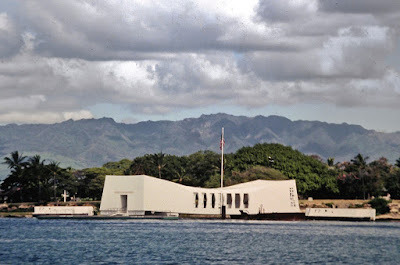 America's fallen have also been buried abroad: a list of those sites can be found on the American Battle Monuments Commission website. The Fiber Guild met last Saturday, and I wanted to have a couple of items knit from the yarn I dyed at home following the Spring Retreat. The top cowl was knit with the skein of yarn shown at left. 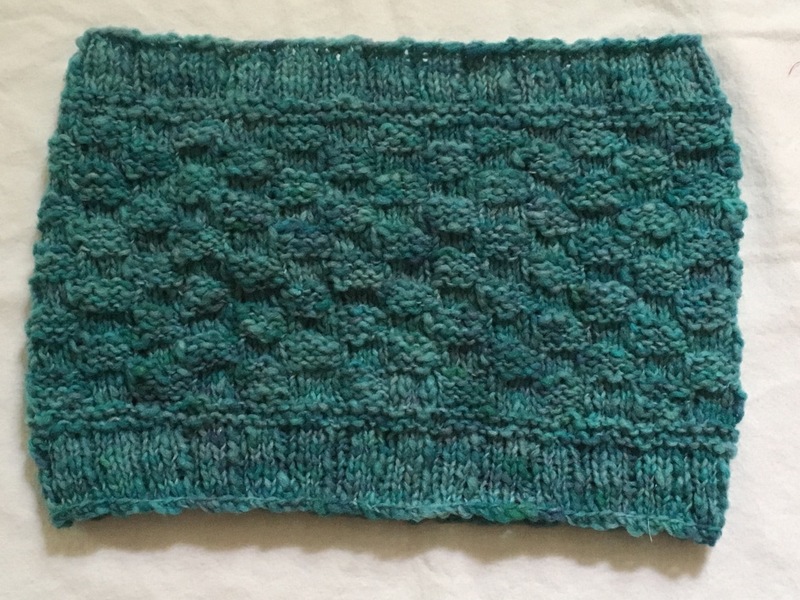 I used the Dailey Park cowl pattern and posted about the cowl here. 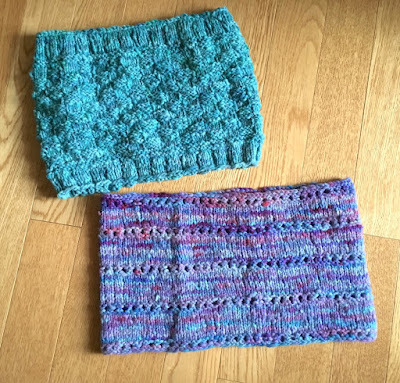 The bottom cowl (Eyelet Ridge pattern) was knit with the skein shown at left. The yarn was reclaimed from a 75% wool and 25% nylon thrift shop sweater, and it has a thick/thin quality. 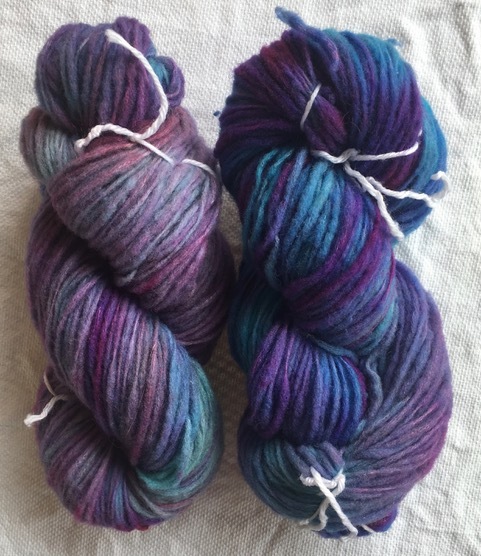 I'm happy that my yarn dyeing experiment worked and that it resulted in some yarn that looks acceptable when knit. An earlier post about the yarn can be found here. Clean Sweep started with one of the silent auction, eagle napkins. 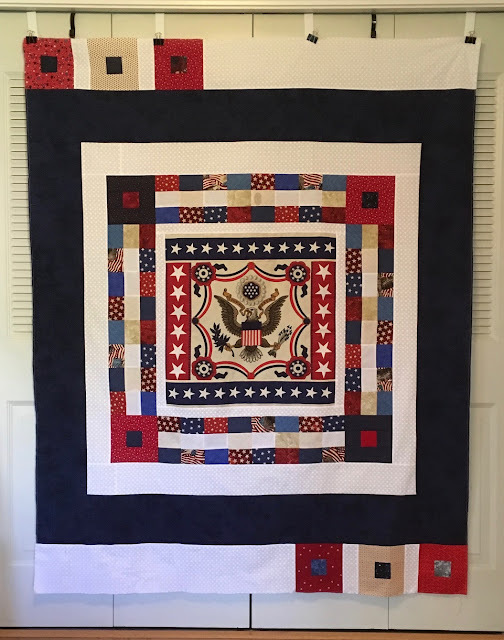 The stars surrounding the eagle were remnants of Liberty, a previous Quilt of Valor. 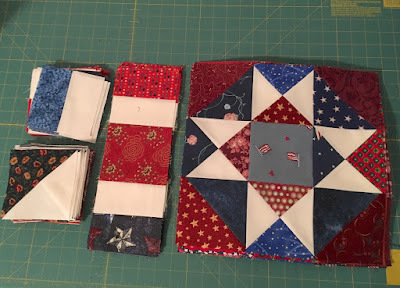 The three patch units in the next segment were leftover from Stars and Stripes and Firecrackers. The corner blocks and the blocks in the final border were leftover from Plan B. The reason this quilt was named Clean Sweep: it emptied the orphan Quilt of Valor elements bin. 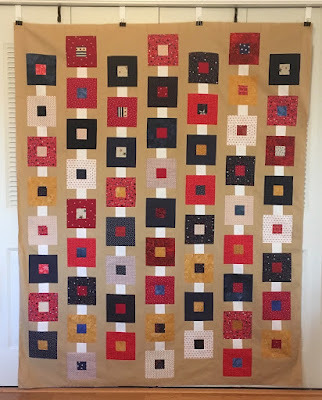 Last week, I hung a shingle to proclaim that I love quilts and quilting. 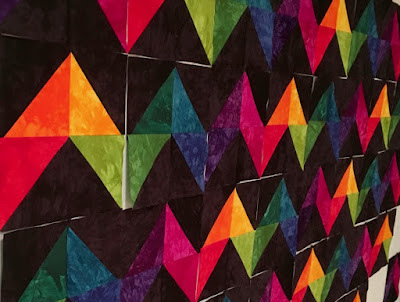 I love barn quilts - the huge, wooden quilt blocks that decorate many barns in the midwest. They are so popular in some communities that the Chambers of Commerce prepare maps for driving tours. It has been my dream for some time to prepare a mini barn quilt to hang on my house. 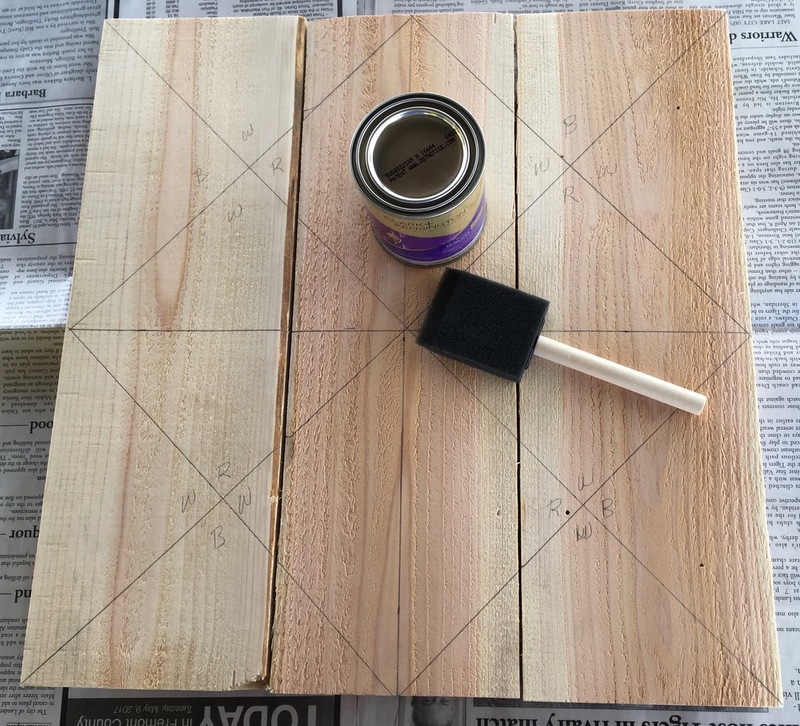 Sabid, my niece's husband, prepared the bare wood forms, and I brought them home to paint. 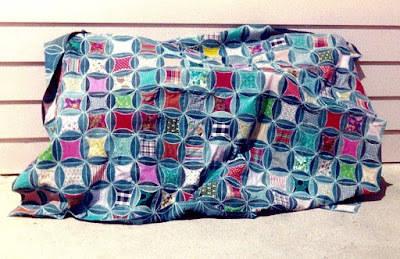 It is my goal to prepare a barn quilt for each season. 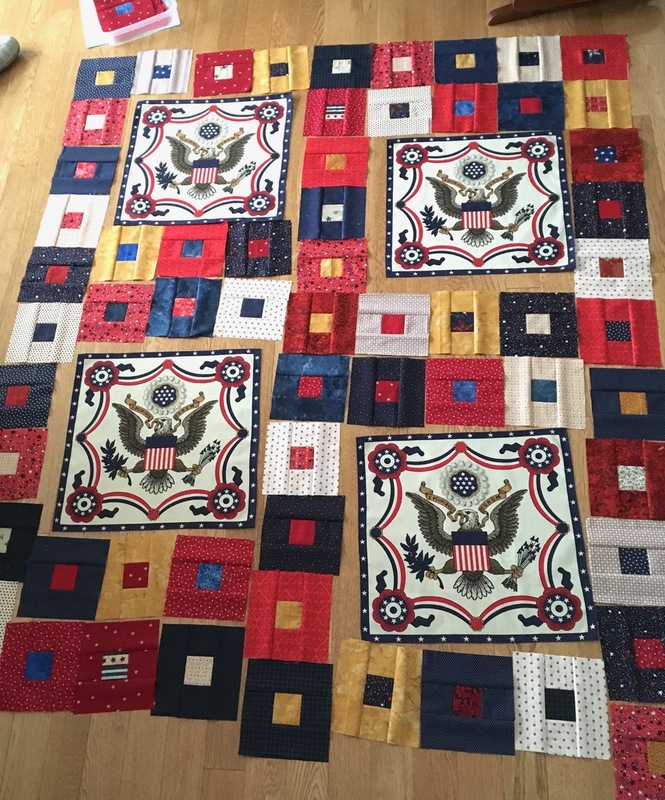 Since summer will soon be here, I started by preparing a patriotic block - the Yankee Puzzle. 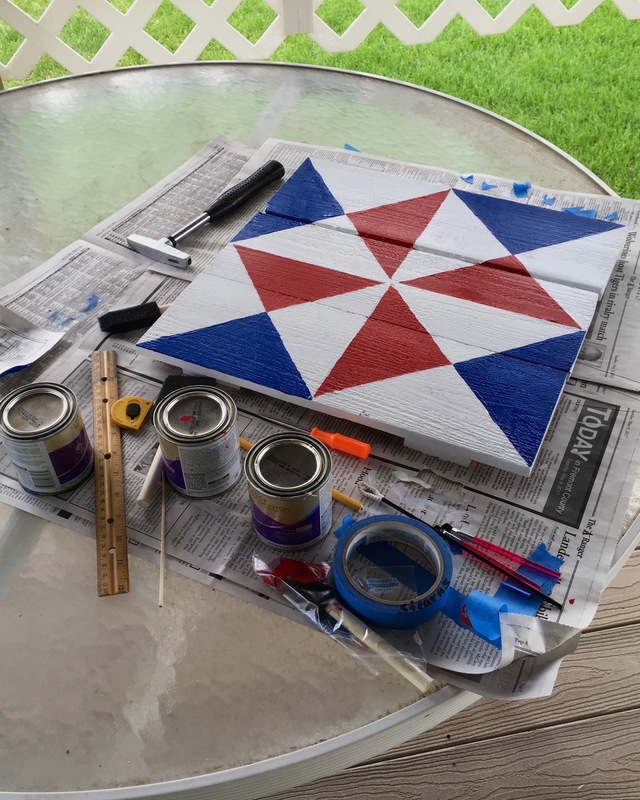 The paint contains primer, so I decided to jump right in with the design. I used painter's tape to mark the design and began painting. The color bled into the other areas, so I will not use the tape on the next one. The block looks best from a distance. Up close, my unsteady hand and wavy lines are clearly visible. 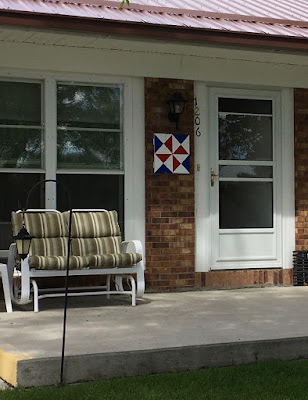 The Yankee Puzzle block clearly identifies that a quilter lives on my street. I'm considering a Maple Leaf pattern for the autumn block, a Bear Paw for winter, and possibly a Tulip or Flower Basket for spring. 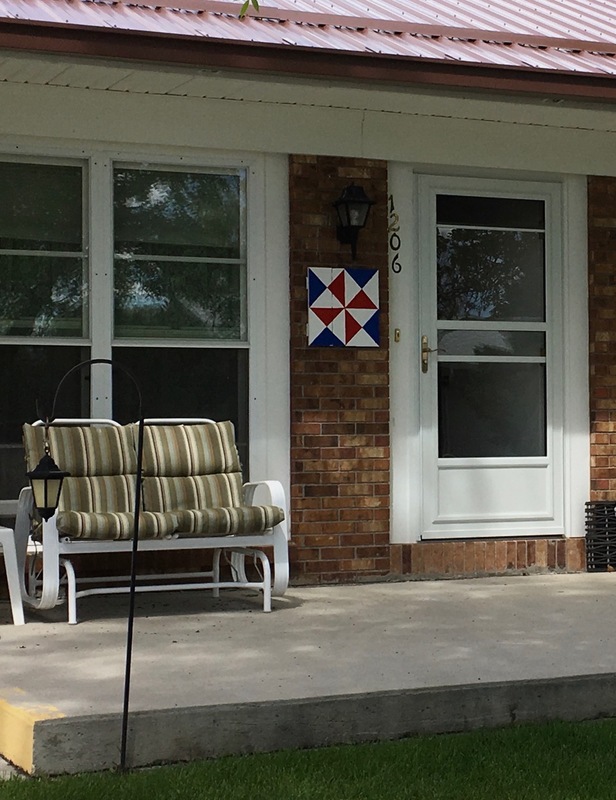 Do you have a yard decoration that identifies one or more of your hobbies? 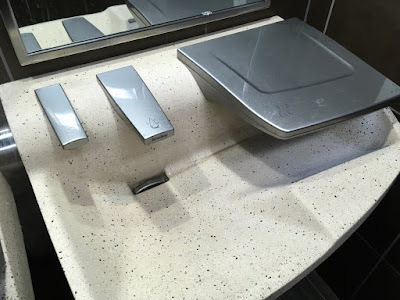 This all-in-one sink was spotted in a new Maverick convenience store on a recent trip to Casper. The dispenser on the left provides soap, the center is water, and on the right is a hand dryer. The hand dryer quickly dried my hand with super turbo air - no more piles of paper towels in the waste bin or a useless wall-mounted hand dryer. The restroom had two of these sinks for the patrons - very nice and super clean, too. Have you seen these all-in-one sinks in your community? I couldn't resist knitting something from the reclaimed wool that I dyed with food coloring. I had enough yarn in one skein for a Dailey Park Cowl. The yarn was the thick/thin variety and ranged from a sport-weight to a light-bulky weight. 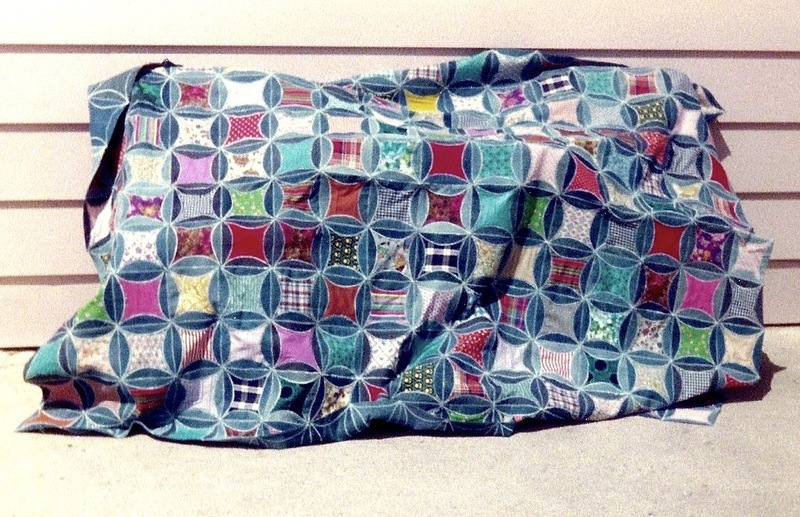 The pattern suggested a special technique called a Suspended Bind-off. 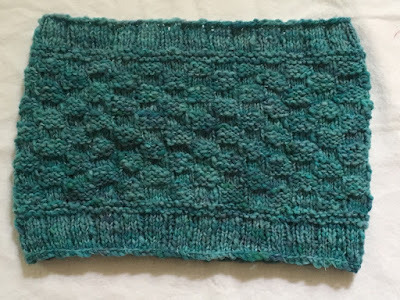 The technique was new to me, and I was surprised that it provided a looser and slightly more stretchy edge than the traditional bind off. Have you tried the suspended bind-off? 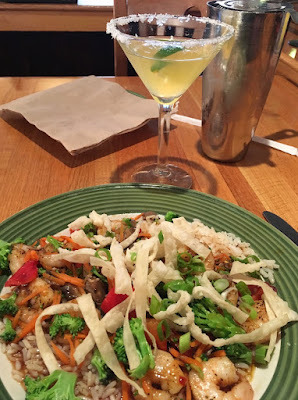 I had annual medical appointments two days in Casper last week, and after a long day of waiting, being prodded, and some shopping, I decided to treat myself to a margarita and a good meal. I seldom take photos of my meals, and I rarely imbibe in alcohol, but Thursday night was the exception. A toddler from the table behind me giggled, and I turned to smile. Just as I turned, the little girl threw me the biggest kiss. I caught it, and threw one back to her. Our brief exchange made some of the tension from my day diminish. 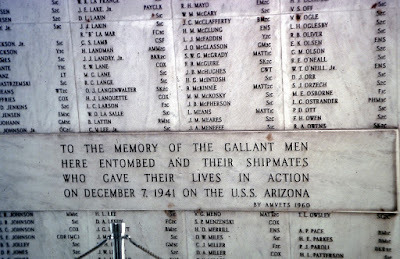 I snapped the photo shown above and sent a text to Marilyn and Brenda and asked about their day. Brenda called, and we chatted as I ate. When I was finished my meal, the waitress said the party at a nearby table had paid for my meal and drink. Again, more of the day's tension slipped away. Thanks to the kindness of strangers, I walked back to the motel with a spring in my step and a lighter heart. Have you "paid it forward" lately? Spring is starting to show itself in the area: trees are blooming, grass is green, and flowers are starting to show some color. With all of that growth come critters who can become a nuisance. 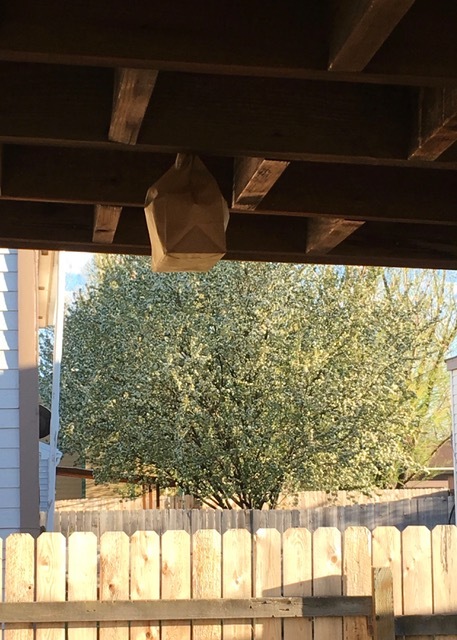 Enter the annual wasp invasion. Every year, I have wasp nests under my deck roof, and every year, I attack them with spray and destroy their nests. However, this year I decided to try a tip that Kathyb shared on her blog. As I was uncovering the patio furniture, I saw that the wasps had returned and were industriously constructing their nests. 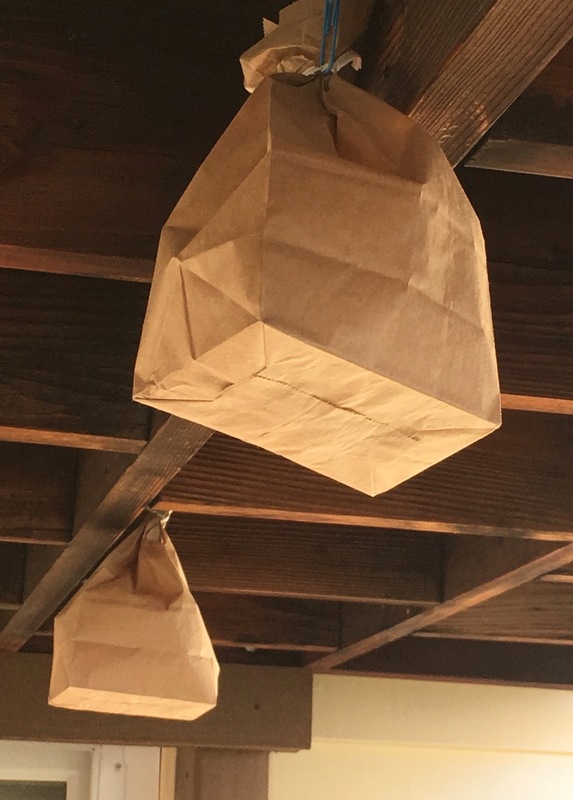 They payed no heed to the single bag, but when the second bag was hung, they flew away. I haven't seen them since. 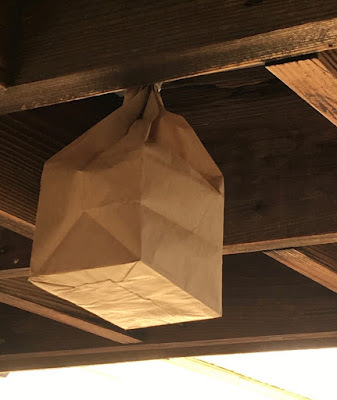 I hope the bags continue to do the trick, as I dislike using a pesticide. The afternoon class at the annual Fiber Guild Spring Retreat was a wool roving chair pad. The woman who taught the class has made numerous pads and brought them to Guild meetings for show and tell. We finally convinced her to teach a class. The base of the pad is latch-hook canvas, and the pad is constructed with a crochet hook and wool roving. Working the roving and the crochet hook through the doubled edge was tricky and somewhat difficult. After the edge was covered with roving, the process went much faster for everyone. I got about three rows finished on my pad. More to come as it progresses, but it may be awhile so don't hold your breath. I had a great time at the Guild's annual spring retreat earlier this month. The morning class was dyeing wool yarn with Kool-Aid and food coloring. The Guild purchased all the supplies and paid the instructors, but the class was free. I had a great time. The class gave me the confidence that I needed to jump in and try the process. I've been wanting to do this for ages. 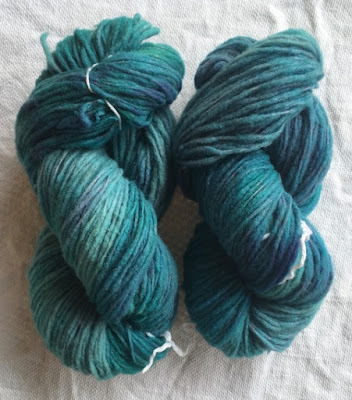 I had some off-white wool that I reclaimed years ago and took two skeins to the class. The instructors had seven large crock pots available for steaming or stewing the yarn. 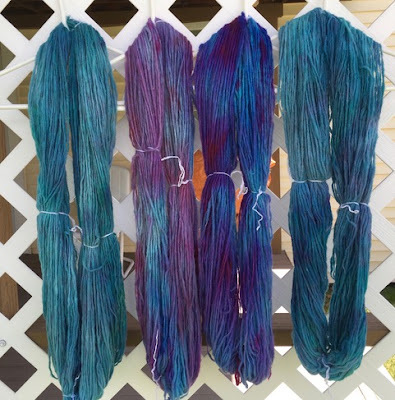 I chose to use the same technique for all three skeins - hand-painting. 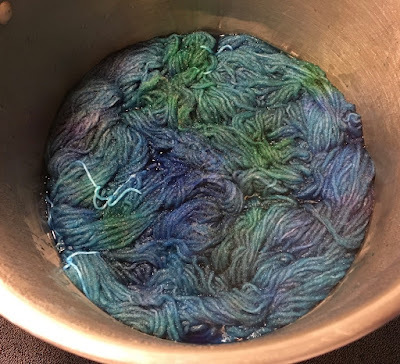 Others in the class dyed in a bowl in the crockpots as well as using Mason jars for saturated color. 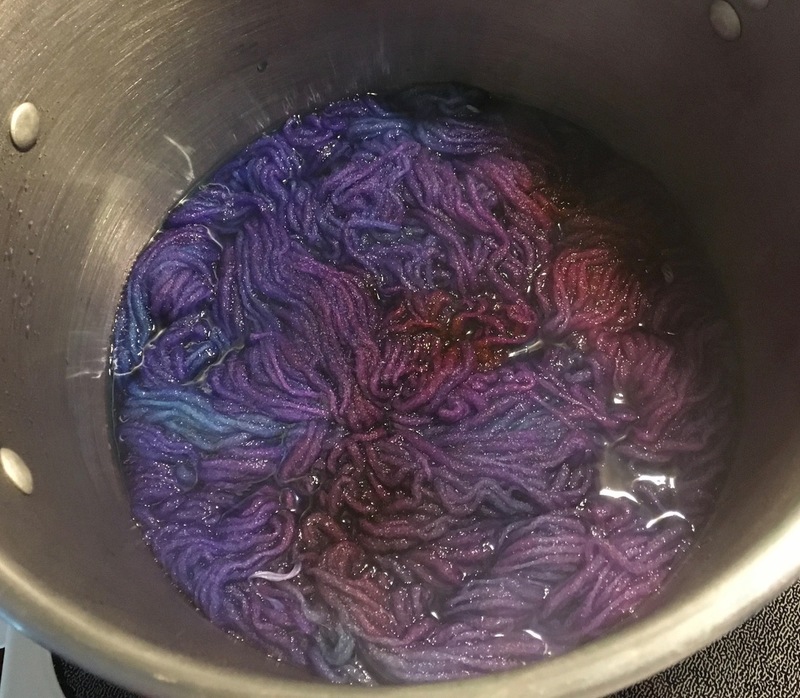 The next day, I decided to dye more skeins in two different immersion dye pots. blue dye pot skeins on the end. No bleeding during the final rinse, so the color should be colorfast. 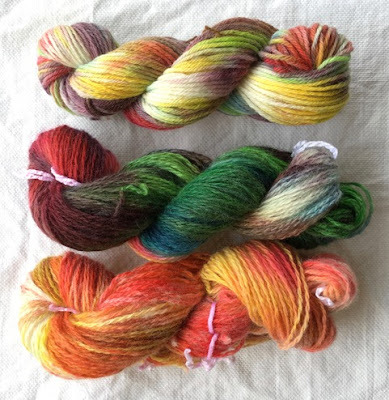 I'm thrilled with the results - the class yarns and the ones I dyed at home. I will definitely dye more wool in the future. 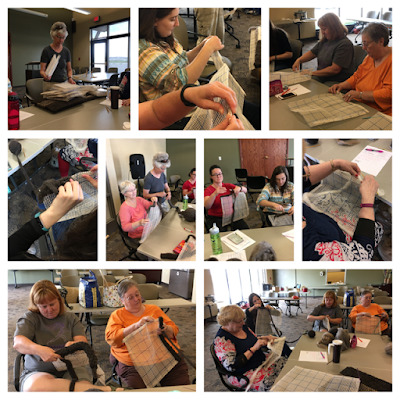 This class and others in previous years are the main reason I belong to the Fiber Guild: so many talented individuals that are willing to teach, and even more who want to learn new skills. The turquoise color is my favorite, and I've already cast on a project to see how it looks knit. One fabric that was plentiful on the farm was denim. 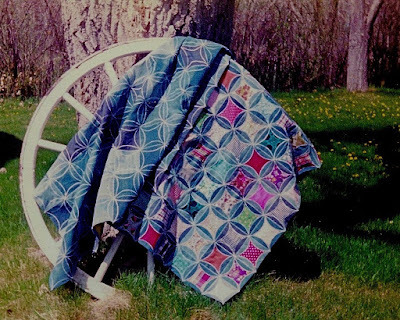 Mom kept old jeans and used them to patch ripped and worn jeans or coveralls, but some of the denim was used to make durable quilts. 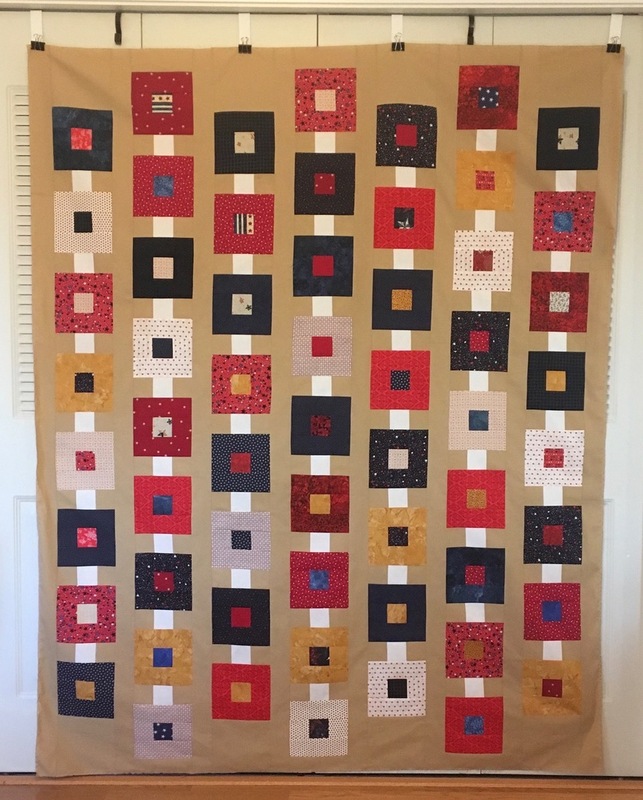 For the cathedral window quilt, Mom cut circles of various colors of denim and then placed a square of fabric in the center. 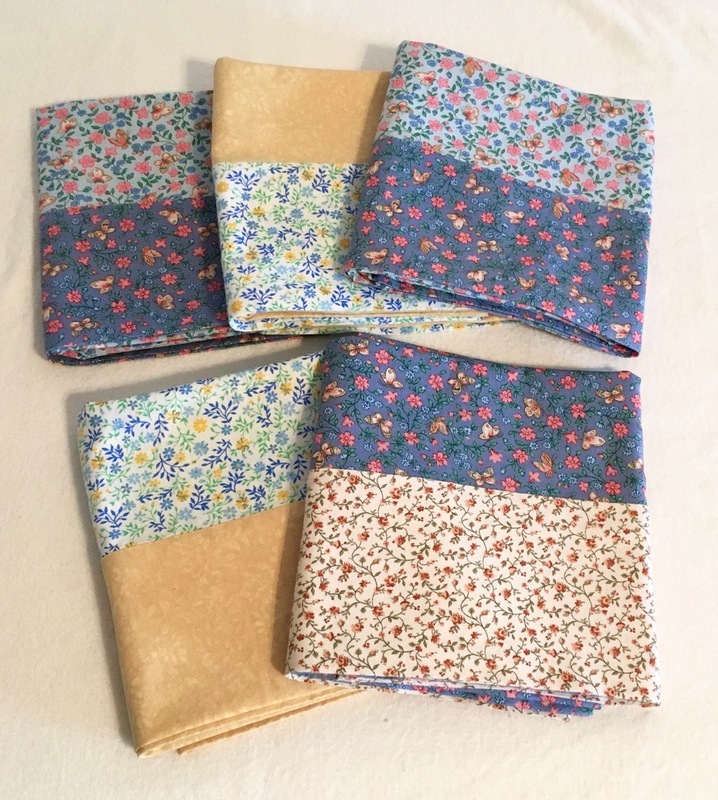 She folded the denim circle toward the fabric squares and machine zig-zagged the curved edges. The blocks were then attached to each other. I wish these old photos were a better quality, but they, too, are vintage. Here's a sneak peek at Marilyn's current project. Aren't the vibrant hand-dyed fabrics gorgeous! 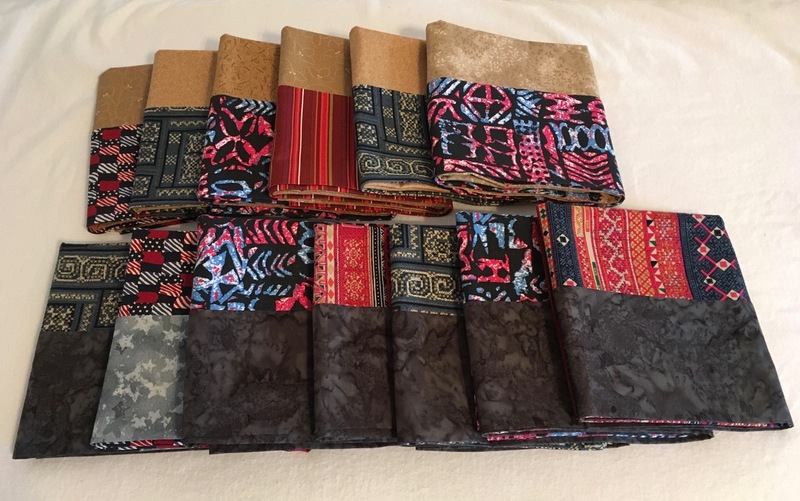 These thirteen cases were made from backing remnants and coordinating fabrics. 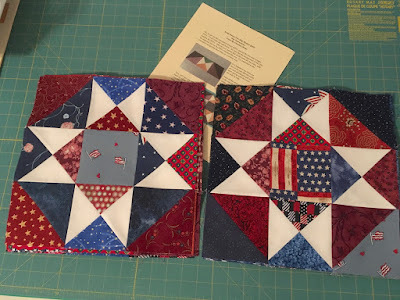 They will be paired with a Quilt of Valor for a presentation and storage case. Some brighter fabric was used for pillowcases for the local hospice home. 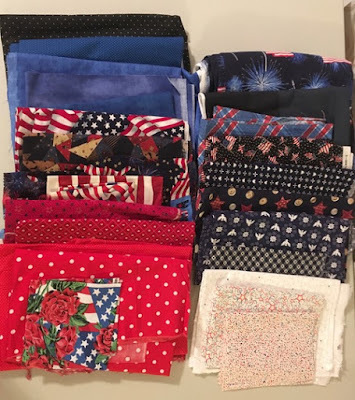 The cases account for nearly 18 yards of fabric out of the stash.